The motors used in the industry have a significant share in the global consumption of electric power. These values are so great that not only the motor users that cover the cost of power, but also parliaments in many countries are interested in their reduction. The European Union has been publishing appropriate regulations, imposing an obligation of using increasingly more efficient drives on manufacturers of electrical devices. We strongly believe that again VTS, instead of following others, is creating new green trend in the market offering our clients not just a products. We provide units that saves money, are quite and smoothly regulated. The heart of every air handling unit is a fan assembly, i.e. a fan rotor driven by a motor. It decides about the main parameters of device operation. VTS engineers, while drawing on their long-term production and exploitation experience optimised in aerodynamic terms the form of the axial rotor Volcano and the radial rotor in Wing, which ensured the maximisation of efficiency. The energy cost-effectiveness, obtained on the fan, has been combined with power saving, resulting from the use of high-performance EC motors. What is EC motors characteristics indeed? It is brushless, direct current, Electronically Commutated motor, having the coils in the stator and permanent magnets in its rotor. Thanks to elimination of brushes – a part subjected to fast wear – EC motors are recognized as the most durable and reliable drives ever created. Elimination of brushes makes, that now, bearings remain the only parts considered as potentially subjected to wearing process in the whole EC motor. of VOLCANO water air heaters and WING air curtains by VTS. What are the user advantages from the use of EC motors in a heater or in an air curtain? High efficiency of EC motors directly impacts the reduction of exploitation costs, which offers real savings to the customers. Additionally, the possibility of connecting 8 devices to one VOLCANO EC or WING EC controller also reduces investment costs. We have prepared a number of financial simulations; an example of one of them can be seen in another article. In general, EC motors can reduce the exploitation costs by 40% in comparison with the previous generation motors. Non-financial factors which support the selection of devices with an EC motor are primarily the comfort of silent operation of devices- smooth control of rotational speed enables the adaptation of the device to particular needs. Additionally, the customer can have a peace of mind- VTS devices are covered by a 5-year guarantee, and the devices are made with care for the natural environment. Exercising of all the advantages of the Volcano and Wing solutions would not be possible without an appropriate control system. VTS offers microprocessor controllers, which are adapted, among others, to the adjustment of rotational speed or the programming of operating schedule. The controllers (table 1) perfectly comply with the most recent trends as well as the highest technical and aesthetic standards. A calendar of heater operation time for working and weekend days. The possibility of connecting even 8 heaters to one controller! A calendar of curtain operation time for working and weekend days. The possibility of connecting even 8 curtains to one controller! Great advantage of Volcano EC and Wing EC controller is the possibility of controlling up to 8 devices. 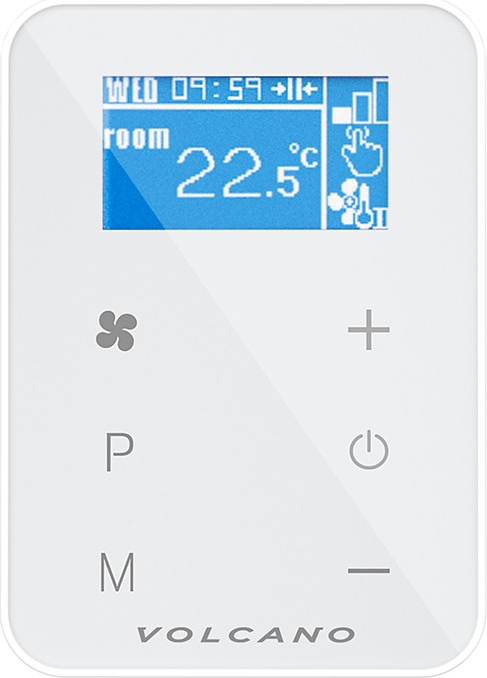 Moreover, each controller can monitor and manage the operation of devices from the external level of BMS. BMS is a Building Managment System, whose task consists in the integration of all automation systems of devices installed in the building. The most important task of the system from the user perspective is the reduction of building exploitation costs related to electric power, ventilation, heating or cooling systems while ensuring adequate comfort. 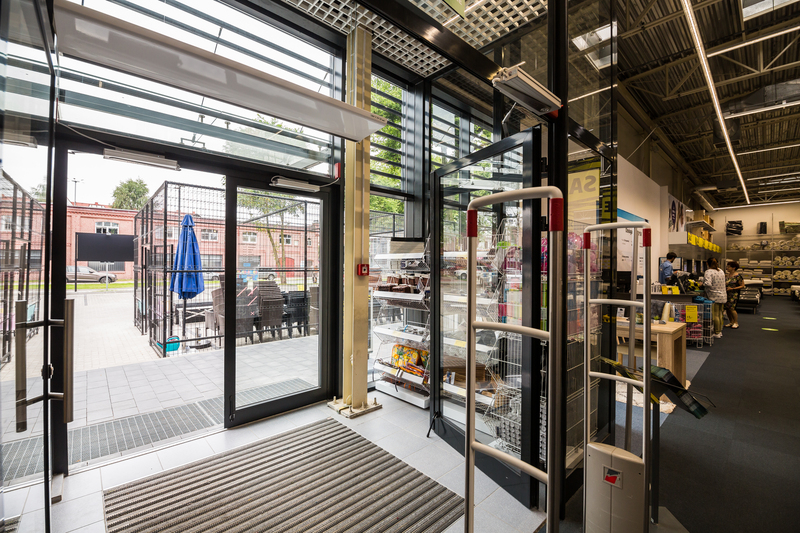 In response to the growing requirements, VTS has equipped its devices in the possibility of connection with the Building Management Systems (BMS). 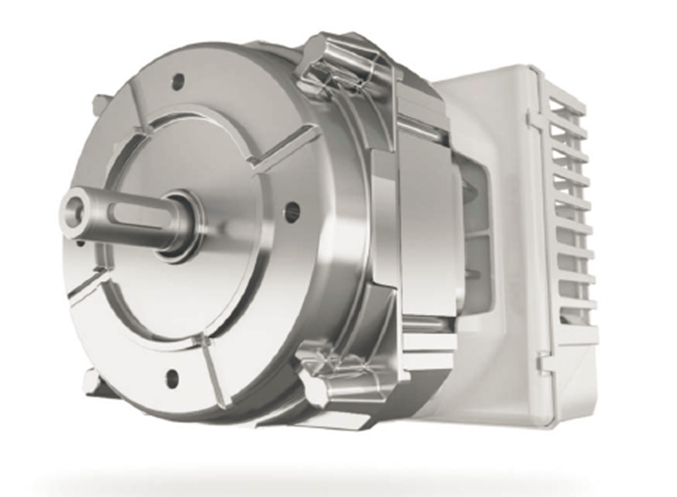 It is possible to provide a direct connection with EC motors without the use of automation or via automation, according to the customer’s selection. Both versions use the MODBUS RTU protocol, RS485 bus for the communication with BMS. VTS marks an ecological trend in the HVAC branch. VTS, being aware of growing customers’ expectations, changing market trends and legal conditions has marked a new trend in the branch- ecological and economic solutions cannot be an addition to the offer, but they must become a standard and the only right solution. VOLCANO and WING devices created by VTS thanks to their innovativeness, high quality of applied materials as well as ultramodern style make this company not only an unquestionable leader on European and eastern markets, but primarily the creator of new, economically justified trends in the whole branch. Buy now VOLCANO EC and WING EC in our e-shop. Here you’ll find our e-shop: www.eshop.vtsgroup.com, which was created for all clients who get used to online shopping and care the most of short delivery time and own convenience. Check new, lower prices for water air heaters VOLCANO and air curtains WING with energy efficient motors.